​Looking for new build apartments for sale in Punta Prima, Costa Blanca? News: ​Looking for new build apartments for sale in Punta Prima, Costa Blanca? More and more people are buying property in Spain either as a permanent home or as a holiday home. Undoubtedly, one of the most popular areas for purchasing property in Spain is the Costa Blanca, that continues to attract thousands of visitors both in the summer and winter seasons. Punta Prima is a prime beachfront location, one of the Costa Blanca´s top tourist destinations. Its mild climate with 320 days of sunshine a year and several sandy beaches within easy reach make Punta Prima the perfect location if you are interested in buying a new build apartment by the sea. Punta Prima is only five minutes´ drive to the beaches of Playa Flamenca, La Zenia, Cabo Roig and Campoamor which have been awarded the Blue Flag status. A short drive also takes you to several golf courses and other leisure facilities including horse riding, sailing, go-karting and bowling, not to mention the ample variety of shops, bars and restaurants available in and around Punta Prima, Orihuela Costa. 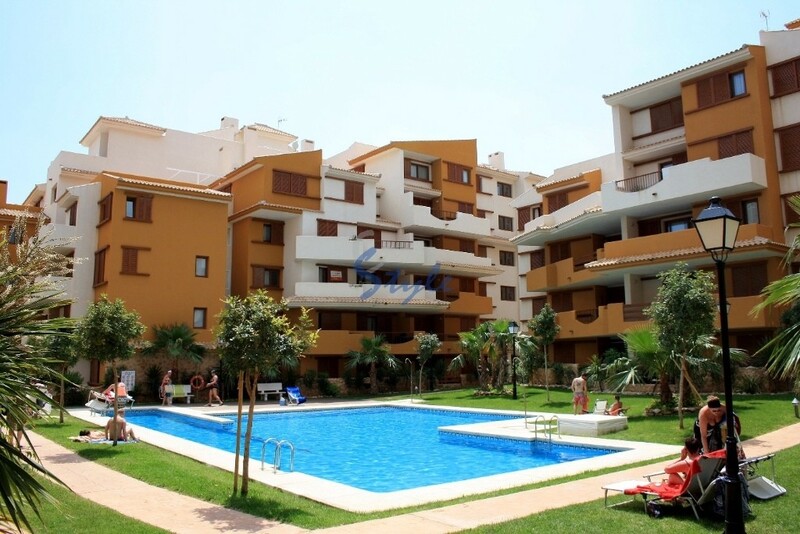 Located 25 minutes from Murcia airport and 40 minutes from Alicante airport, Punta Prima really is a great choice for anyone looking to buy an apartment on the Costa Blanca. The E-Style Spain offices are conveniently located in Punta Prima and we have the best new build apartments for sale in Punta Prima, Costa Blanca in our books. Most of our Punta Prima apartments are just a short walk to the beach, bars and supermarkets. Many of them have a sea view and feature large terraces and/or solariums. Call us now and we will help you find your dream apartment for sale in Punta Prima, Costa Blanca.